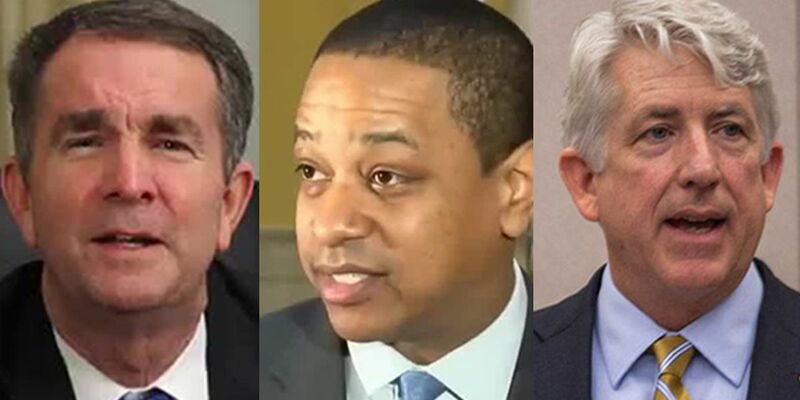 RICHMOND, VA (WWBT) - Approval ratings for Virginia’s top three leaders has declined in recent months, but a majority of voters say they should stay in office. In a Wason Center for Public Policy at Christopher Newport University poll released Tuesday morning, Gov. Ralph Northam has a disapproval rating of 49%. However, 52% of those polled believe he should stay in office following the blackface scandal earlier this year. Disapproval of Lt. Justin Fairfax, who has been accused of two women of sexual assault in the early 2000s, is now at 39%. It was 13% in December. “Among voters who know about the allegations, 45% said he should stay in office and 42% said he should resign,” the Wason Center said in a news release. Attorney General Mark Herring, who admitted to wearing blackface at a party in 1980, has a disapproval rating of 28%. “Among voters who know about Herring’s admission, 64% said he should stay in office and 28% said he should resign,” the poll said. “Probably because of the nature of the allegations against him, Justin Fairfax appears more damaged than Mark Herring,” said Dr. Quentin Kidd, director of the Wason Center. The Wason Center interviewed 1,067 voters for the poll from March 11-31.